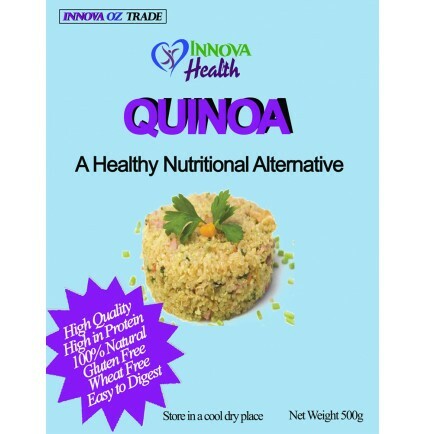 What is Innova Health Quinoa? Quinoa is a native grain of the Andes mountains regions of South America and has been an esteemed super food since around 3000 BC. It’s said that the Incas referred to Quinoa as “chisaya mama,” meaning “mother of all grains.” It’s mostly produced mainly in the highlands of Peru in the regions of Puno, Cusco, Arequipa and Ayacucho. Quinoa is a product that provides a significant amount of protein and a healthy balance of amino acids essential for tissue development in human beings; it also has a high nutritional value but has no cholesterol and fat. The Quinoa is one of the most protein-rich foods, it is also gluten free and very easy to digest so it is ideal for those with wheat and gluten intolerances. The fibre in the Quinoa makes it useful for cleaning the intestines and prevents cardiovascular system problems. It is also good for people with imbalanced blood sugar control and athletes or anyone who exercises regularly. It is a highly nutritious gluten-free grain. This ancient grain contains more protein than any other grain, with a good balance of all 8 essential amino acids, making it a good choice for vegetarians. Quinoa is one of the most nutrient rich grains around, being a good source of iron, needed to transport oxygen around the body, B vitamins for energy, calcium and magnesium for healthy nervous system function, and vitamin E, a powerful antioxidant. Quinoa is also high in fibre and has a low-GI, beneficial for keeping blood sugar levels stable. Quinoa is an ideal grain for diabetics. There are three main varieties of Quinoa available, white or sweet, red, and black. Quinoa has a lovely fluffy consistency, with a slight nutty flavour. Promotes Healthy Digestion. Quinoa contains almost twice as much fibre as most other grains. Fibre relieves constipation and it also helps to prevent heart disease by reducing high blood pressure and diabetes. Contains Iron which helps keep our red blood cells healthy and is the basis of haemoglobin formation. 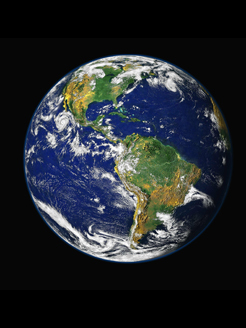 Iron carries oxygen from one cell to another and supplies oxygen to our muscles to aid in their contraction. Iron also increases brain function. It reduces the risk of heart disease and stroke. Several health studies have linked diets rich in Quinoa with a reduced risk of developing future cardiovascular conditions—such as heart disease and stroke. This fibre rich food literally combs the walls of the arteries, removing plaque from the arterial walls, which can eventually build-up and cause a heart attack or stroke. Contains lysine, which is mainly essential for tissue growth and repair. Is rich in magnesium consequently reduces occurrence of migraines, Quinoa is high in riboflavin, or vitamin B2, which promotes blood vessel expansion in the brain and reduces instances of migraine headaches. Other benefits include detoxification, energy production, and the formation of healthy bones and teeth. A good resource of riboflavin — riboflavin helps decrease the frequency attacks in migraine sufferers by boosting the energy metabolism within the muscle cells and brain. Contains a high content of manganese. Manganese is an antioxidant, which helps to prevent damage of mitochondria during energy production as well as to protect red blood cells and other cells from harm by free radicals. It’s gluten-free. Millions of people are realising they feel healthier and lose weight when they decrease gluten grains or wheat products. It is a complex carbohydrate with little glycaemic index. This is again good for weight administration. Supports Weight Loss and Maintenance of Weight. The high content of fibre and protein in Quinoa keeps you feeling full longer, and can help control your appetite. Quinoa is delicious cold tossed through a salad, or hot served with a stir-fry, stew or casserole. You can use Quinoa similar to how you use rice. Also try adding it to soups, frittatas or vegie patties. Quinoa flour can be used for baking gluten-free cakes, muffins, cookies, pancakes and breads. You should be able to find Quinoa in the health food section of supermarkets or from health food stores. Quinoa is the best option for raw grain cooking, as soups, side dishes accompanying fish, meat or poultry, hot and cold salads and its quantity increases after cooking the grains. Cook Quinoa and then toss all ingredients together. Advice to serve with some grilled fish. To prepare Quinoa make sure you rinse the grain well first to wash off its bitter coating. Bring 2 cups of water to boil and add 1 cup of Quinoa. Reduce heat to low, and cook covered for 10-15 minutes, or until tender but still slightly crunchy.